Here are frequently asked questions on buying and selling privately, without a real estate agent. Can I buy or sell a house without a real estate agent? Yes, most definitely! A real estate agent is just an intermediary between the buyer and the seller. Will I need someone to ensure the process is done legally and properly? Whether privately or through a real estate agent, a lawyer is needed to ensure proper legalities of the agreement of purchase and sale. Legal fees are charged either way — however, the seller saves hefty realty commission by listing and selling his house on ThunderBayHouses.com. What are the advantages of selling a house without a real estate agent? First off and most important, the seller saves significant realty commission, which can range from $6,000 on a $100,000 home to over $10,000 on a $169,900 home — and even higher on more expensive homes (all assuming six-percent commission). Still very important, the seller knows the house better than any real estate agent — so the seller can oftentimes show the house to potential buyers better than an agent. Are there disadvantages to selling a house without a real estate agent? Not really. One disadvantage used to be advertising the private house sale with costly newspaper advertisements — this is no longer the case with ThunderBayHouses.com, which attracts thousands of people to the website every day, providing huge exposure and many fast sales! What are the advantages of buying a house without a real estate agent? Usually the seller is more willing to negotiate as he knows a big chunk of the asking price will not go to realty commission. Also, the deal may be sealed quicker with no agent or go-between. Buyers can get better, more detailed answers about the house and its history from the actual owner than a real estate agent. Are there disadvantages to buying a house without a real estate agent? Some people don't enjoy negotiating price, others don't mind — often negotiating face-to-face with the owner is better and quicker than through an agent. For sellers, what are the steps to selling a house without a real estate agent? 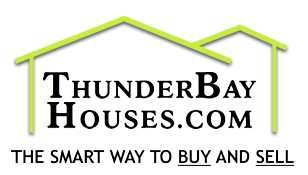 List your house with ThunderBayHouses.com. Keep your house neat and clean, ready to show to prospective buyers at their convenience. Negotiate an agreeable selling price and possession date with the buyer. Allow your house to be inspected. This is often a condition on a successful sale agreement, especially for older homes. An inspection costs about $300. Hire a lawyer to complete the sale transaction, as a lawyer is required to effect the legal closing of the transaction. For buyers, what are the steps to buying a house without a real estate agent? Go to ThunderBayHouses.com to find the house of your dreams. Contact the owner and arrange to see the house. 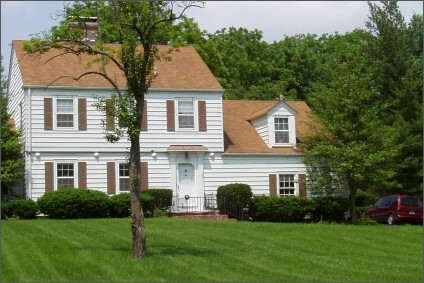 If you like the house and would like to place an offer, contact a lawyer to prepare an agreement of purchase and sale. Bring the offer to the seller. Negotiate an agreeable selling price and possession date with the seller. This can also be done verbally prior to drawing up an offer. Arrange to have the house inspected — it is a good idea to have a satisfactory house inspection stipulated as a condition on the agreement of purchase and sale, especially for an older home. An inspection costs about $300. Let the lawyer take care of the rest. All information contained herein is deemed accurate but is not guaranteed and may be subject to errors and omissions. ThunderBayHouses.com will not be liable or responsible for any damages or injuries caused by use of this information.